Meena + Nimesh's traditional Indian wedding was filled with love, laughter, family and friends. 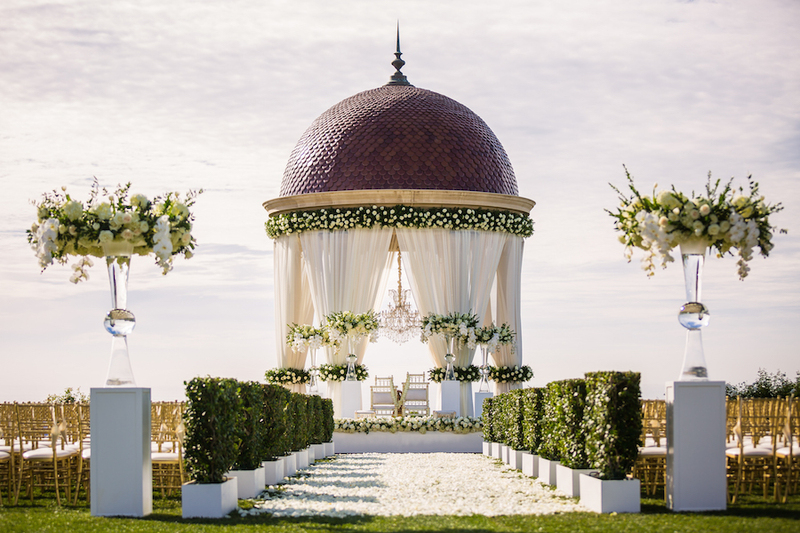 It was a gorgeous sight to see as Meena walked down the aisle on a bed of white rose petals leading up to the rotunda at Pelican Hill Resort. 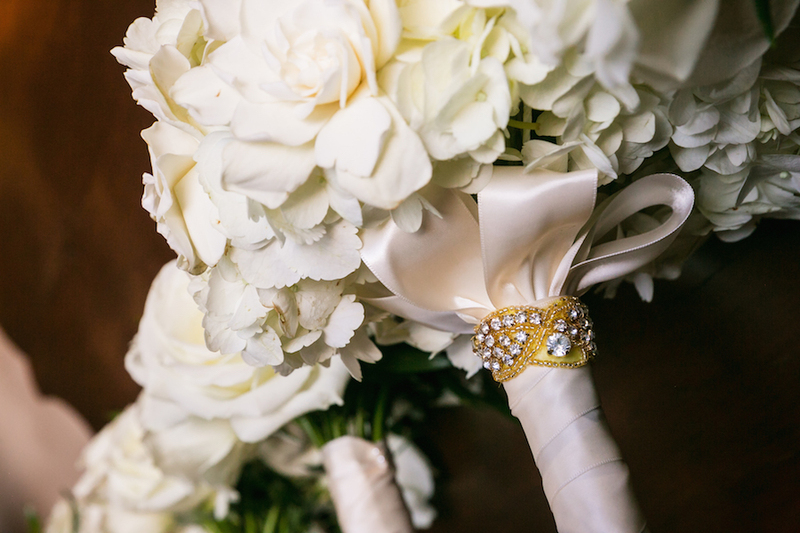 The rotunda was decorated with greenery, white florals, and accents of gold. 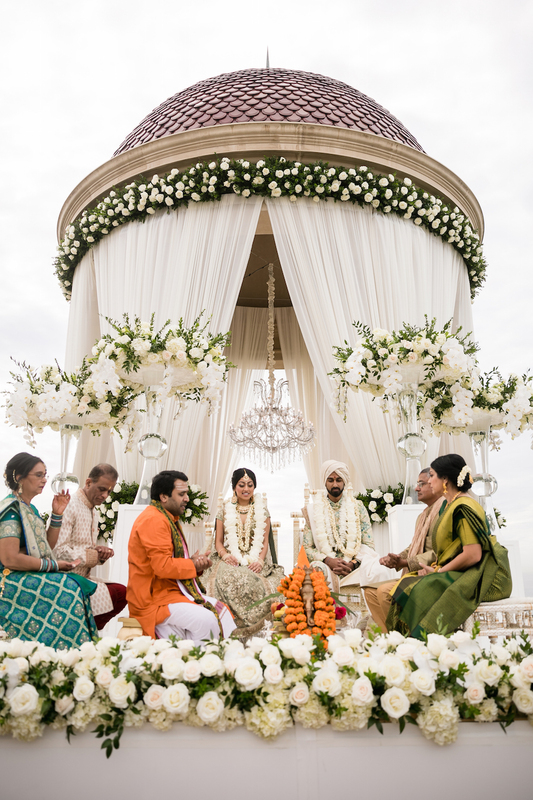 A traditional Indian Wedding ceremony took place under the rotunda. With open skies and a view over looking the ocean, it was an incredible way for the couple to say ” I Do”. It was an honor to be part of Meena + Nimesh's special day and for South Asian Bride Magazine to feature the beautiful event.